Zimba Design offers a unique blend of passion and talent to design and build homes, commercial or community spaces that reflect the unique vision of each client. Our services are multifaceted - designing a building from the ground up or undertaking a renovation or interior design project. We design it and then manage the process. Our goal is your ultimate satisfaction with the space in which you live, work, or play. Every design project has a life of its own that calls for a distinctive environment. We listen closely to discover your goals, challenges and fiscal objectives. Then we plan and provide effective, exciting design and building solutions to meet and exceed your needs. Zimba Design has been nominated for several industry awards. In 2013 we received the Western Red Cedar Award at the 9th annual Wood WORKS! BC Wood Design Awards. 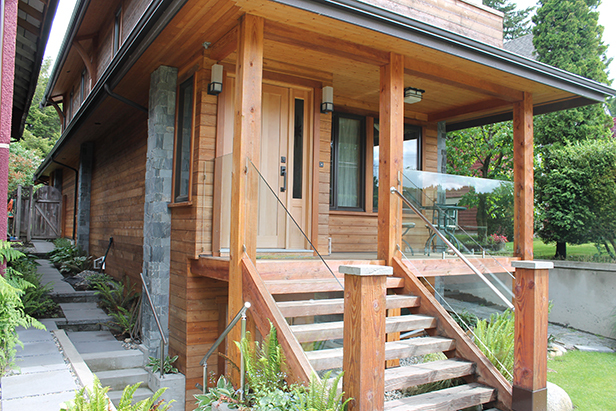 The Urban Longhouse - a North Vancouver home - was chosen in a category that recognizes the beauty of Western Red Cedar used in an interior or exterior application on any type of project - residential or non-residential. Tell us your story. Your next project created with Zimba Design will be an asset to your future.